Whether you are a programming beginner or an experienced developer, you will agree with us on one thing – loops are among the basic concepts of many languages used in programming. Do you need to repeatedly execute a line of commands until you meet a particular requirement? In that case, you can use a loop. It can save you a lot of time when you need to automate the execution of repetitive tasks. If you use Bash, you should know that there are three ways to construct loops – for, until, and while loop. 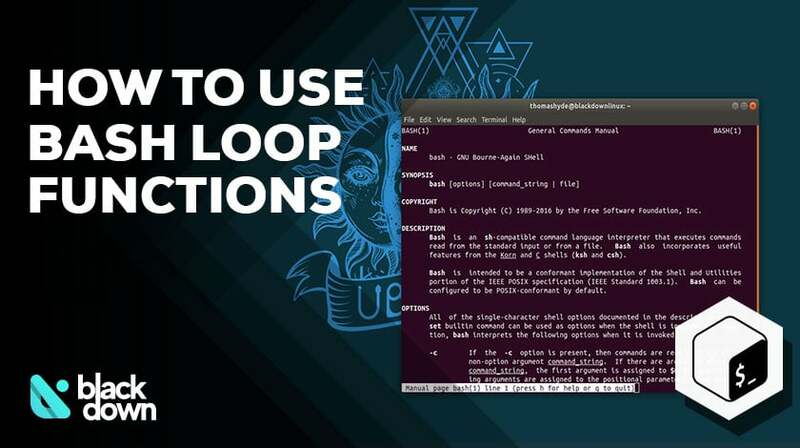 In this article, we will focus on how to utilize the Bash for loop and what you should know about using it. We connected the “name” variable to the current item in the above example. You can use the strings of your preference in the list, as well as a number range and other items. In the command section, you set how you want the output to look. What happens if you do not need a sequence of numbers, but increments? Use the below line to pinpoint the increment you want to utilize. The best way to explain is once again via an example. Let’s say that we want to define a “movies” array and iterate over each item in that array. Upon the start of the loop, it executes the INITIALIZE section. The next in line is the CHECK part, where a false return value causes loop termination. If the CHECK part is true, the loop executes the commands and updates the STEP section. Let’s try by setting the INITIALIZE to i=1. The CHECK section will test if i≤100. If the checking process returns true, the output will start with the current value of the variable “i” and increase it in increments of 1 (i++) as long as the CHECK value is true. That is where the loop will terminate because you set the termination if the value of “i” is higher than 100. For demonstration purposes, we only ran the loop for 10 numbers as you can see below. If you want to achieve further control on the execution of the for loop, you can do so with a break statement. Its goal is to execute loop termination and then give the control to the following statement after the one that was terminated. It sounds tricky, but the idea is to execute loop termination when it meets a particular requirement. Unlike the break statement, the continue allows you to move from one iteration within the loop to the next. Basically, we ordered the loop to skip Mark from the list, which we have done by terminating the loop when it reaches his name. We then told the loop to return to the next iteration and continue the loop. You can do this with numbers, arrays, and pretty much anything else; it just takes a bit of creativity. Did you know that you can also use the Bash for Loop to rename multiple files at once? For example, let’s say you want to change all files with an underscore in a particular directory, and change it to a hyphen. The initial line is there to create a file list while the “mv” command is used for renaming files. The part inside the curly brackets specifies what you want to rename (underscore) with how you want to rename it (hyphen). You can also do this if you want to switch the extension of the files in a particular folder. Similar to the file renaming loop, you first create a list and then choose the extension to modify and how to modify it. If you are a newbie programmer, it might take a bit of time to get ahold of how the Bash for loop works. However, it is not difficult, and you should master it in a matter of minutes. Go ahead and try some of the loops from this tutorial and it won’t take long before you start creating loops, too!